Cricket arrived in India- courtesy English colonialists in the late 1700s. Calcutta Cricket Club was the first club, formed in 1792 for Europeans only. Indians soon began to play, however, with the game taking prominence in Bombay. The Parsees beat the Europeans in 1877 and subsequently toured England, though won only one game. The Board of Control for Cricket in India (BCCI) was formed in 1928 and India finally made its Test debut in 1932, after which a national competition followed in 1934, named the Ranji Trophy after KS Ranjitsinhji. With Test series win under their belt against Pakistan, New Zealand and England at home, India turned a corner with their first ever Test series win outside the sub-continent in 1967-68 against New Zealand. India began to be recognized as a potent force when they outplayed the West Indies and England in their own backyard in 1971, a feat not many had envisaged. As one-day format began to gain prominence, India shocked twice reigning champions West Indies to lift the 1983 World Cup. The World Cup high was followed by another sparkling performance in Australia as India won the World Championship of Cricket in 1985. Producing world-class talent both in batting and bowling departments, India continued their upward march. In 2002, they were declared joint winners with Sri Lanka after the final was as hampered by rain. The 2007 ICC World T20 in South Africa will be remembered fondly by the fans as with a little knowhow of the format, India under MS Dhoni, beat Pakistan in the final to be crowned champions in the tournament’s inaugural edition. India’s consistency across format was reflected two years later when in November 2009, India became the No.1 Test side in the world. They continued their dominance at the top till August 2011. Earlier that year, India beat Sri Lanka in the final of the World Cup and became the first team ever to win the most important trophy as hosts. MS Dhoni became the second captain after Kapil Dev to lead India to victory in the World Cup, leading to wide celebrations across the country. 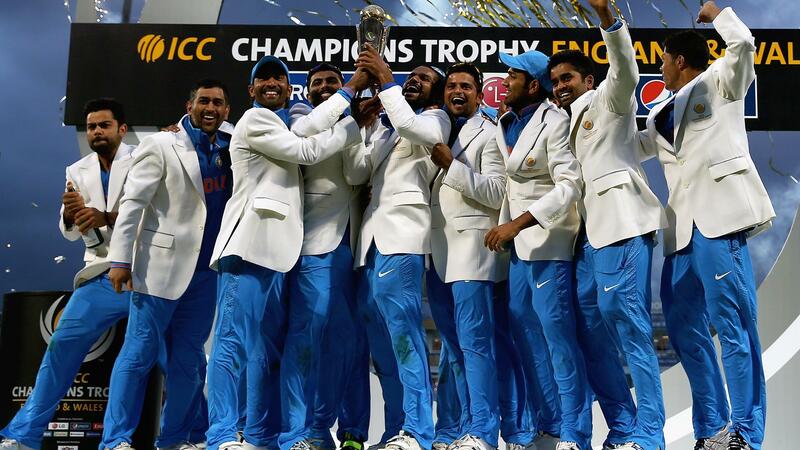 Dhoni was once again at the helm as India outplayed hosts England by five runs to lift the ICC Champions Trophy. India showed their ability to adapt when they won the Asia Cup in 2016. It was the first time that the tournament was being played in the T20I format and the Men in Blue remained unbeaten throughout the competition. In Test cricket, India have created a sizable lead over others and end 2016 as the No.1 Test team in the world. They played 12 Test matches in 2016 and won nine, the most they have won in a calendar year.